Before meeting Sherri Cousart, I had challenges with my emotional and physical health… high blood pressure, Type 2 diabetes, many of the usual aches and pains and, for the last 5 years, an unwanted visitor: multiple myeloma. Sherri brought her skills with both the Emotion Code and the Body Code to make a huge difference in my life. While the challenges continue, I am in a much better place both emotionally and physically. The high blood pressure is “within normal limits.” The Type 2 diabetes is under control with less medication. The side effects I experienced from more chemo therapy variations than I would wish on anyone have become so small they are like brushing a fly away. The otherwise “usual aches and pains” that many experience from growing older have vanished. The visiting myeloma is fading daily and I expect to be in complete remission soon. All of that is wonderful and I very strongly recommend the Emotion Code, The Body Code, and Sherri as a practitioner. The most beneficial part of all of this process for me is the experience of removing my heart wall and now living my life in a much more peaceful and calm state, while continuing to process the emotional and physical work that has come from external influences like Vietnam and 64+ years of life. There is zero doubt in my heart and mind that I am a much better person for having met Sherri and sharing my path through the Emotion Code and the Body Code. Open your heart and mind and explore all that this work can do for you and your family, in all areas of you life. Thank you so much for the energy work you did for me. I feel different; better, happier, healthier, and lighter! Since you reconnected my Spirit back to it’s heart and repaired my Spirit’s Heart I don’t wake up in the middle of the night anymore with an overwhelming sense that something is inherently wrong with my life. I feel more hopeful for my future and finding love now that you removed my heart wall and reset my ​energies. I really appreciate the conversations we had and the wonderful blessings you bestowed upon me​. I’m referring several friends to you! Hi Sherri, I wanted to update you with my test results after working with you doing The Body Code and focusing on my cervix. I originally had something called “Level 2 Moderate Dysplasia,” meaning two-thirds of my cervix was showing abnormal pre-cancerous cells. I was really worried about this and it caused me a lot of stress. This time, after we did our session, it was a 0. No signs of dysplasia! Yay! Cancer free. Thank you for helping me heal my body. It’s a miracle! Sherri – I love this work – I feel like I’m finally getting to the root – what a relief! I saw my chiropractor today and he was like, “what are you doing???!! !” I love it when the changes are that noticeable. Every once in a while you stumble across a person that you feel you were destined for your paths to cross – This is how I feel about Sherri Cousart. I was desperate to find an alternative healing method for my cat of twelve years, (Penguin! ), who just recently had two tumors surgically removed and diagnosed as cancerous and likely to return. Kitty chemotherapy just didn’t feel right, especially for a cat who still felt like she had so much life and love in her. I found Sherri on Google. (Hooray Google!) I set an appointment up with her for a couple days later. She was prompt and professional in her response. During the session, it was clear that she is not only intuitive and compassionate, but highly skilled in the work that she does. She zeroed in on each imbalance with precision and accuracy, and every single insight she reflected back to me resonated with me in my core as being true, some of which were things I had already a gut feeling about, but needed the extra reinforcement to follow through on. I feel like I walked away from the session with a plan and with hope. It was just as much of a healing session for me as it was for my cat, and certainly, absolutely some of the best money I have ever spent. I did Sherri’s Abundance Code program earlier this year. I am blown away with the results. I have my own business and have struggled quite a bit with abundance and flow. I grew up poor in an affluent area, which I feel contributed to some of the blocks I had. We cleared many of those things, but most importantly, I think, was my subconscious commitment to struggle. Ever since we’ve done the work, people are calling me with work!! That’s new, on the level that it’s happening. Additionally, someone gave me a significant sum of money (seemingly out of the blue) which I was able to put towards my debt and eliminate most of that burden! This being the total miracle in how it happened and where the money came from!! Amazing, just amazing. I have so much more peace around my work and ability to have all that I need, not just financially, but in all areas of abundance in my life!! My gratitude for you, Sherri, runs so deep. You have made a difference in my life that I have no idea how I could ever articulate its value or meaning. You are so very gifted and a true gift to all who have the privilege to work with you. ~Ginger in Walnut Creek, CA. What can I express about “the Body Code” that would relay All Truth involved in its phenomenal healing powers! Sherri facilitating the Body Code has brought me through the grieving process from start to present concerning the loss of my life’s companion of 27 years. I was Humpty-Dumpty whose body, mind, and spirit, was in pieces. Sometimes consciously and unconsciously I did not care if I continued life or quietly withered away. There were no medications to help my grief. The Body Code was able to bring to the forefront honest human emotions that were contributing to my lack of will to live. It truly is amazing all the emotions I was so innocently (humanly) carrying and trying to handle on my own. Through the Body Code, Sherri continues to help and guide me on my road to becoming clearer than I have ever been in my entire life. The Body Code helped me heal without revisiting painful places again. It has established more understanding of myself, rebuilt the trust and confidence I had lost and has allowed me to FEEL love again. Sherri’s professional integrity, intuition and knowledge of the human experience, and understanding of the Body Code, have given me my will to live again. Breakthrough! Sherri, you shepherded me to the next level of healing and self-awareness. Through your incredible caring and devotion you poured yourself completely into every session – brilliantly, skillfully, and lovingly, accessing and implementing whatever was needed for my healing. For a few sessions, I wasn’t feeling any different – although almost everything you were saying clicked as accurate. Then there was that session where the connections on all levels started to happen. I actually felt sensation in my body as beautiful insight arose. For starters (the most important of all) there was an experiential awareness of how loved I am and the safety and joy of loving. Also on the physical/health level, I just got blood tests and other lab tests back and they are the best results I’ve had in decades. Your diagnostic assessment of my health situation was spot on. You are a significant part of my healing team. Sherri, you are a gift to anyone’s healing process who is lucky to find you! I have received so much from you. In deep gratitude, Blessings to you, the precious work you do, and the many, many who come to you. Sherri – I just wanted to thank you for the wonderful and uplifting session! I am feeling much better and really free and calm. I took the next two days relaxing and being good to myself. That night I had a dream of my soulmate. Don’t remember exactly what happened but it was really wonderful to awake knowing we had connected on the inner plane. I do appreciate the work you do and truly appreciate you. After losing my husband September 2011, I was filled with the over-whelming emotions of complete loss and suffering. I was not functioning at any level…the grieving process was clearly too much for me to bear. Sherri released numerous amounts of collective emotions that arise after losing one’s husband, such as a broken-heart, financial challenges, emotional security, and feelings of abandonment. I was also surprised to find I had many old issues from my past, childhood, widowed at age 19, previous failed marriage, that were holding me back throughout my life. Through Sherri’s dedication and human compassion in her work, I have gained the clarity and emotional courage as I begin another life journey. Thank you Sherri, for helping me find the inner peace I need to heal graciously. I am deeply moved by your words. I am the one that has to THANK YOU for the wonderful work you did for me – you are the Angel who came in answer to my prayers. After the removal of the heart wall, it is amazing how now I feel the love and compassion as never before. All the hurts I thought I had “mentally” forgiven, but emotionally were still embedded in my chakras and how lovingly you explained things to me. For sure I will refer you to the people who are open to this extraordinary healing. Sherri’s work is life transforming. Sherri identified blocks that I didn’t even know that I had. She went down to the root cause of the emotion that I had blocking me and released it from the core. This helped me to feel better, move forward and helped my family, all at the same time. If you want to move forward with a goal in your life and you are stuck and you don’t know why, Sherri will easily find the cause and remove it. I enjoyed working with her and recommend her to my friends. Sherri is phenomenal! She is intuitive, compassionate and fun to work with. I love the power of the work that she does. She will help you open up your heart and your life to all the blessings that you are wanting. I highly recommend that you work with her. I truly love Sherri and believe she is doing her part to change the vibration on the planet! Thank you Sherri for not only changing my life, but also changing my husband’s life and our relationship for the better! Sherri, thank you so much for introducing me to the amazing modality known as The Emotion Code! I’m amazed at the internal shift it has created for me. Since we cleared my Heart-Wall and have worked on releasing my trapped emotions and inherited trapped emotions, I feel a significant difference in my emotional body. Where there was once a sense of anxiety, uncertainty and a sort of solidity lacking, I now feel comfortable and safe being vulnerable with others, yet powerful at the same time. I feel like I am so much more available to the people in my life and grounded, too. The shifts were subtle yet the effect is profound! This work has brought me a peace I have never known before. What an amazing gift this work is to people and their lives! Thank you so much for being such a powerful Emotion Code Practitioner and sharing this work!! I so appreciate you! Sherri, I Just wanted to thank you again for bringing down my Heart-Wall and for doing some healing with my daughter and mom. My daughter came to me about four hours later and sincerely apologized for being mean to me at her surprise party. Get this, she even told me that she apologized to her friends for HER behavior!!! And, her friends said to her, “your mom was so excited for your party”. My daughter “got it” and then hugged me. I am so encouraged by the healing and will be mindful to be more vulnerable with her (and to view this word as a positive instead of a weakness). You are gifted with your healing energy! I feel fortunate to have met you and worked with you. Working with Sherri is truly a joy. With her, I feel totally safe, totally nurtured, and ready to do “the work”. Sherri’s healing abilities and talents (both physical and metaphysical), combined with her deep love and genuine enthusiasm for her work, offer me clear pathways into the depths of myself. She elegantly guides me to see, to understand and to release my blockages. And what I love most is that Sherri helps me to remember more of who I truly am. Sherri’s hands and heart seem to have eyes of their own, to probe the sources of problems or issues. She is very adept at listening to that amazing intuition, and she allows healing and depth to occur within a safe, nurturing environment. I have had many sessions with Sherri over many years. They are always fun, alive, powerful and effective. She is a great channel for healing, as well as for transformation. I consistently recommend Sherri for anyone seeking help. I am excited and grateful that I can give this testimony as a gift back to Sherri because she has given so much to me. My first impression of Sherri is that she is filled with joy and has an enthusiasm for living. Regarding her work – I hardly know where to start – I have never met such a gifted person. Sherri has done work with my Body, Mind & Spirit. I have had problems in my personal/family relationships and in my work and Sherri has helped me release old beliefs that I held about my father, as well as in my personal self-image. It seemed that not only were my beliefs in my mind but also that energy stuck in my physical body. Sherri’s keen intuitive abilities, utilizing her muscle testing and other effective techniques, have helped me to get through these issues. To this day, I return to Sherri to receive her work whenever I feel emotionally and physically out of balance. I feel so safe and comforted to be in Sherri’s space and to allow whatever issue I am facing to come up to the surface during a session. Sherri is always willing to be of assistance too. Words can hardly describe what you feel when you experience her work. You will leave having experienced a gift that I truly feel has been given to her by God. Sherri….. I love you and thank you for being so willing to share your gifts. Sherri is a dynamic and delightful intuitive healer. It takes an experience of her, in a healing session, to really feel and know her deep and wonderful sense of knowing. 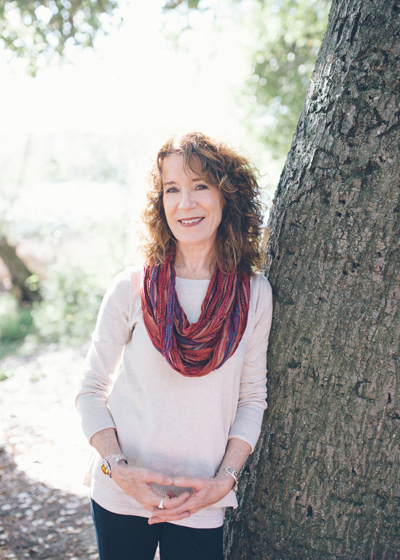 Until I met Sherri and experienced a session, I did not know that intuition combined with the intuitive insight could resolve so many challenges. Sherri has helped me to move my life and personal expression of spiritually to a whole new level. I always feel so wonderful and full of enthusiasm after the session. Thanks Sherri for sharing your gifts. Sherri has this amazing way of naturally tuning in to my Soul, body, emotions, core and true Self and with this she has assisted me in working through deep core issues and new variations of the old blocks, and I have great results. I also love that she brings the body/muscle and nutritional aspects so I can move forward with new Grace and ease. Thanks Sherri! I had the pleasurable experience of completing Sherri’s Life’s Purpose coaching. The work gave me great insight. Sherri was very knowledgeable and very skillful in her guidance in assisting me discover my life’s purpose. I highly recommend Sherri for anyone trying to make spiritual changes in their life. When I met Sherri I was at a point of great transition. On the verge of turning 40, I had pushed the proverbial reset button on my life. I had just ended a 7-year relationship with the man I believed I was going to marry, whom was also my business partner. I was making big changes. I needed to find a new career, but did not know what direction to go. I had already had success in the corporate realm as an operations manager for a major daily newspaper and had also successfully run my own financial services agency for the preceding four years. I knew I didn’t want to re-enter Corporate America, and I also knew that the Financial Services industry was not for me, even though I sincerely loved owning and operating my own business. The kicker was to figure out what I truly did want to do! Through Sherri’s Seven-Step process and gentle yet effective guidance, I was able to explore and uncover the interests which are truly exciting, fulfilling and of value to me. Sherri assisted me in discovering that my True Life’s Purpose is to run my own business as a Personal Historian. I am now building on and working in that business with excitement and optimism. I have excitement because it is something I am really interested in, so it is fun for me, and optimism because I know that, due to my genuine interest in my field, I will achieve the success and fulfillment I’ve been yearning to feel for many years. My experience with Sherri has surely been one of the most profound in life thus far and I am certain there is no way I would not be moving so clearly in the right direction as I am now!! Thanks so much, Sherri!